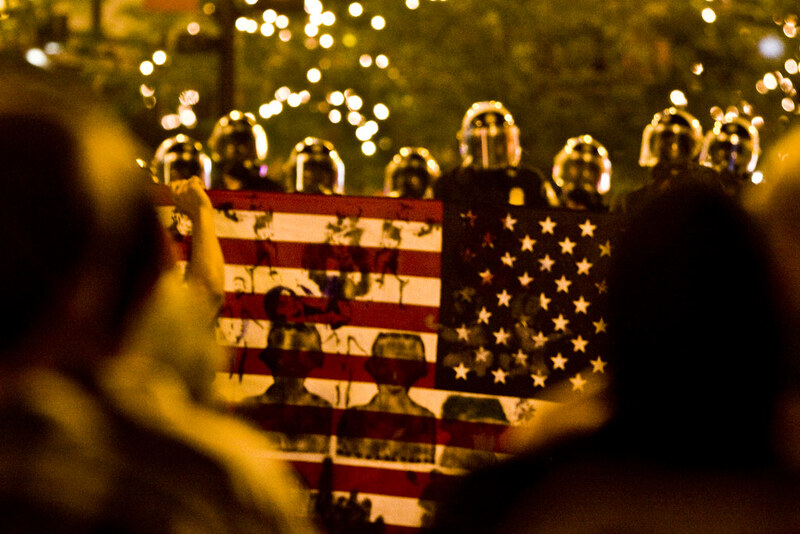 Minneapolis Police Department officers are lined up wearing riot gear and gas masks in front of protesters holding a graffitied American flag after an Anti-Flag and Rage Against the Machine concert at the Target Center in Downtown Minneapolis on September 3, 2008. I know that there are thousands of additional photos from the mini-melee that rolled in to the Twin Cities and particularly St. Paul this week but we're all burned out from it to a certain extent. Check back later as things get back to normal.